For years local search engine optimization (SEO) has been a crucial component of business best practices for brands competing in the digital marketplace. Local SEO allows potential customers to easily find your products or services online. 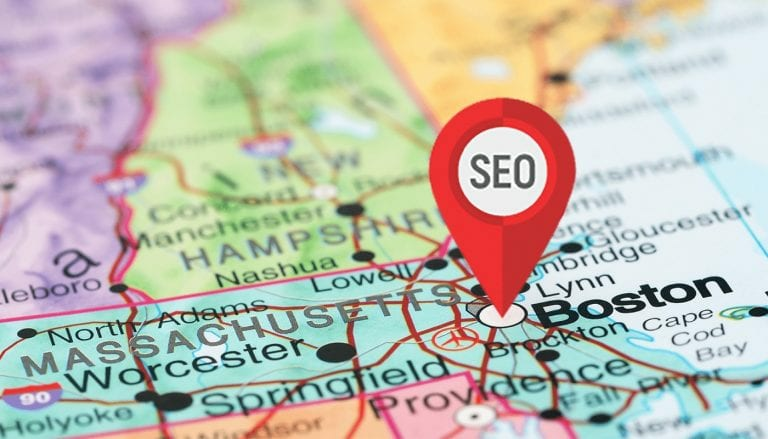 Elements like keywords, your business’ name, address, phone number (NAP), and citations, are placed on web pages and coded to make up your company’s local SEO. Citations, also called local business listings, might be the most important component of your local SEO. Local citations are instances of your business information (NAP) published on external, third-party web pages. So how do brands go about building local citations to fuel higher rankings on search engines? Front Porch Solutions has several tips for your business when it comes to building local citations. Why Work on Building Local Citations? We know you are busy as a business owner-operator, but there are many reasons to carve out time to build local citations for your brand. A robust portfolio of local citations for your site indicates to Google and other search engines your website’s importance. Search engines track the number of mentions businesses receive online and therefore, websites with a large number of business listings rank higher in search engine results pages (SERPs). Because local citations help websites rank in SERPs, brand visibility should also get a boost, generating increased website traffic. In the crowded realm of the internet, brands need to demonstrate industry authority and gain consumer confidence to succeed. Building local citations will help your business earn the trust of both SERPs and users through consistent listings that verify your basic business information. Before you can even expect to rank on search engines like Google, you need to register your business with Google My Business. From there, you’ll be able to add your NAP to internal & external web pages, business listings, social media, and more. However, your business’ NAP information must be consistent throughout the web to reap the rewards of building local citations. The business listings you build will be completely ineffective if your citations are not accurate and uniform across all mentions. Display the most important data about your business through schema markup for search engines to properly identify. To guarantee your business listings are up-to-date and identical with other online mentions, perform regular local citation audits. Clean house when you complete your audit, removing duplicate listings and incorrect citations. While it is true that the more local citations your site has, the more discoverable your brand will be in search engines, it is also imperative that these citations are reputable and relevant. In other words, you need to find a balance between quality and quantity. A lot of sites provide local citations, but use common sense to discern whether or not they are trustworthy sources. Search engines will detect and reward high-value sources like government websites over outdated directories full of broken, unrelated links. Your efforts could be null and void if you rely solely on a large quantity of low-value mentions. So where should you be building local citations for your brand? As previously mentioned, there are a ton of websites that act as citation sources. To begin, submit your business listings to a wide range of well-known sources like local directories, data aggregators, review sites, etc. The Yext platform can manage all of your brand’s online citations for you, for an annual fee. After inputting your business information, Yext will deliver it to the highest ranking listing sites on the internet. Moz Local distributes business citations via data aggregators and connects directly to your Google My Business page, making updates a breeze. Yelp is a local directory site that generates listings based on data received from aggregators like Acxiom and Localeze. Customers are also able to leave reviews which have become an invaluable ranking factor considered by search engines. Having trouble wrapping your head around the process of building local citations? Contact the team at Front Porch Solutions. Not only do we have the experience to handle your business’ local SEO, but we can also advise on other digital marketing strategies, like pay-per-click advertising, generating leads, web design and more. Let us create a marketing plan to fit your company’s needs, budget, and goals.